TAG-7 is a family of technologically advanced linescan cameras, designed to meet the most demanding requirements of today’s machine vision applications, available with both GigE Vision and CameraLink interfaces, with high-class mono and color sensors. All the TAG-7 cameras have an internal FPGA that can be customized so to tailor specific requirements and came with the same compact size (only 62x62x36mm) and the rugged and stable enclosure. CameraLink versions have a speed up to up to 80 KHz and are targeted to high-speed applications: Base, Medium, Full and 80-bit modes are supported by Tattile Hardware. To complete the full set of features there is PoCL (Power over Camera Link) capability for an easier cabling. 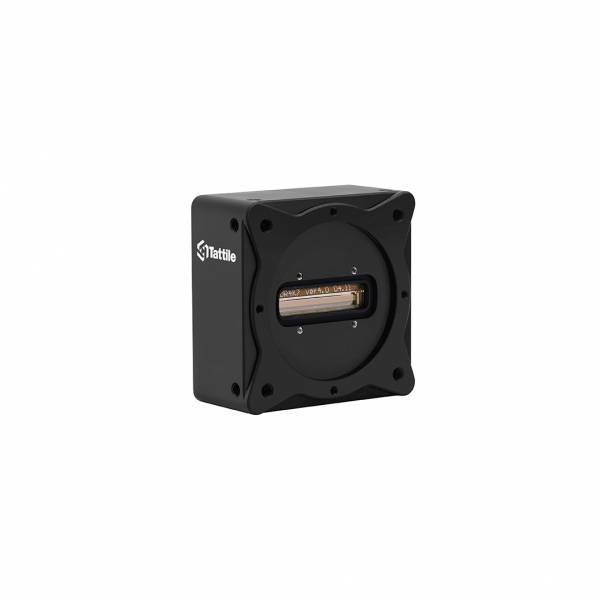 The TAG-7 CameraLink cameras can be easily integrated with any frame-grabber and are the perfect companion of the M160 Clink Vision Controller. Ссылки на другие веб-сайты "LS2KM-CL TAG-7"
Информация о продукте "LS2KM-CL TAG-7"